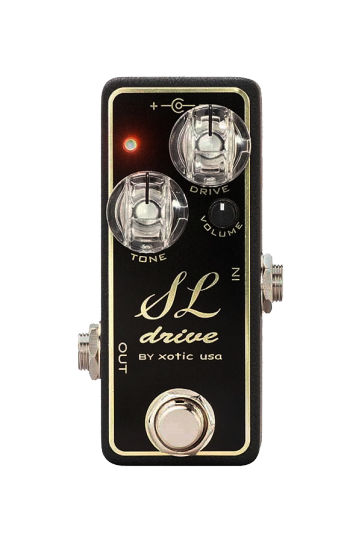 Xotic SL drive pedal is like having a PLEXI amp in a pedal... but just how 'Plexi' is this pedal from Xotic? And how well made is it for the money? Oh those were the days. There was NOTHING like standing in front of two 4x12 Marshall cabs with a Plexi amp on full tilt on the top. Nothing! But wait! There are now effects pedals out there that claim to turn your amp in to the very same tone if not the very same volume. And that's a good thing because you could then tell all those 'nandies' where to get off. Plexi tone here we come. Or do we? There are a number of pedals around these days offering to take us back to the Super Lead from Marshall with those 'Plexi' tones. But all too often they don't really achieve what they set out to do, or often they give a sort of 'in the area' of type of sound. But that's not what we all crave is it? I want the real authenticated deal and in my search for that original 'Plexi' tone I have spent a small fortune and if you crave for 'that' tone then I could bet you have too. First off, this Xotic SL pedal is one of those 'small format' pedals where you don't feel like you're getting value for the money... a sort of short changed deal. But that applies to all of these 'small' pedals right? But These Xotic boys from California (where lots of the good stuff comes from) have set out to give you a pedal that really does deliver on those tones they say. Typical price at time of this review (January 2017) shows it to cost between £125 and £150 ($160 to $185) so its by no means a cheap pedal - surely there must be some 'goodness' in there for that high price right? But on the face of it there is little to see... a tone knob, a drive knob and a tiny volume preset knob and that's it. But its absolutely solidly built and feels like a quality item at the first examination of the unit. This one under review belonged to a friend (Hi Martin) but I bought it off him later and this one was made in week 11 2014 number 1214 so I guess it's similar to the current units out there for sale. Don't confuse this pedal with the Xotic EP (booster) or the Xotic SP (compressor) as they all tend to look similar from a distance... but they sound entirely different! Well they would right! Dimensions (if you need them) are 3.5" x 1.5" x 1.5" (89mm X 38mm X 38mm) so this is a small pedal as I said. There's nothing in there that is surprising really except maybe the Super Bass amp. But remember this, in the early years of the Marshall Plexi the Super Bass amplifier was 'basically' the same amp with a few bits'n'pieces changed out - it made sense at that time. Later super bass amps were very different and some could not (easily) be converted to super lead tones... but by then the Plexi tone had moved on. I have to admit, that there is not a lot to look at inside the SL, but it does show the overall quality of the pedal and of course that all important 4 way mini switch. The fact is, that all the important stuff is well hidden on the other side of the main PCB. However, it is all very well made and uses modern flow solder techniques for the construction. But I guess that rules out 'hand made' right? Nevertheless you are not going to be seeing low quality Chinese manufacturing in here. One thing to note is that this pedal includes a true bypass switch so your tone is unaffected when this pedal is out of circuit. The unit carries a 1 year standard warranty against manufacturing defects. Of all the different pedals I have used to get the Plexi tone this SL pedal is about as near as I have ever gotten to the original Plexi tone from any brand of pedal. With those four settings (I don't personally like the Bass setting) there is little that you can't achieve and by simply rolling back the guitar volume the tone reacts just like the real deal Plexi ()albeit without the massive body moving volumes that the real thing can do). My favorite has got to be choice three - the super lead with that 6Db gain - its unlikely that you would want any more because more gain than what is on offer takes you really away from what you set out to gain in tone. But it's all subjective and I'm sure that some guys will use this pedal in ways that I never would - each to his own I'm sure. The power supply is they say a 9v volt DC affair but can be boosted up to 15-18 volts with an Xotic voltage doubler. The reason for increasing the voltage? Simple - Higher voltage levels result in more headroom. 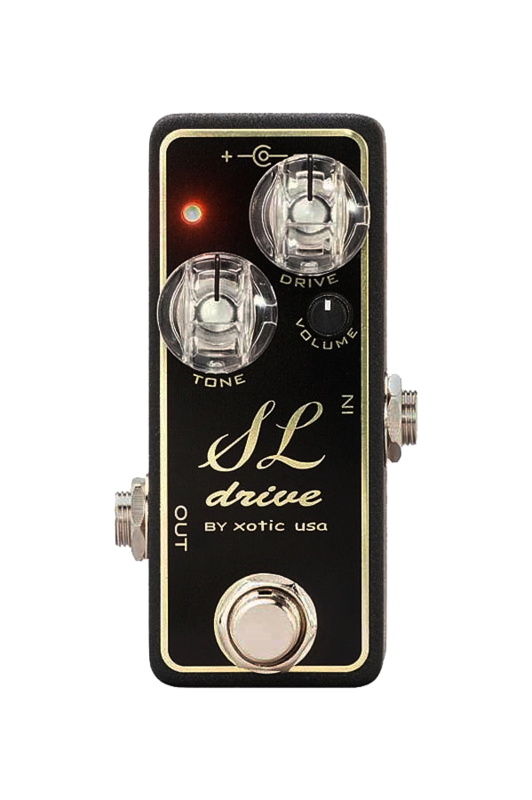 When you boost the voltage the Xotic SL pedal will get much more dynamic, give more headroom, top end and brightness, a far less compressed sound. Remember I said it, but the cost of the 9 volt power supply (not included) or the voltage doubler are all added expense in search of that Plexi tone. 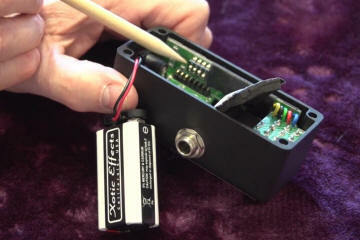 The voltage doubler can be set for 15 volts or 18 volts output and is fully compatible with the SL pedal. 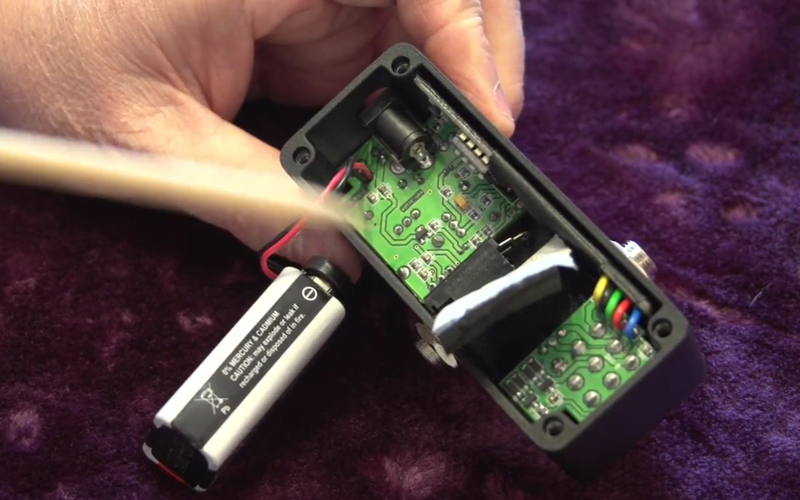 The voltage doubler is typically in the UK around £25 ($32) and is a worthwhile addition. I have one myself! While we're talking about power supplies etc. 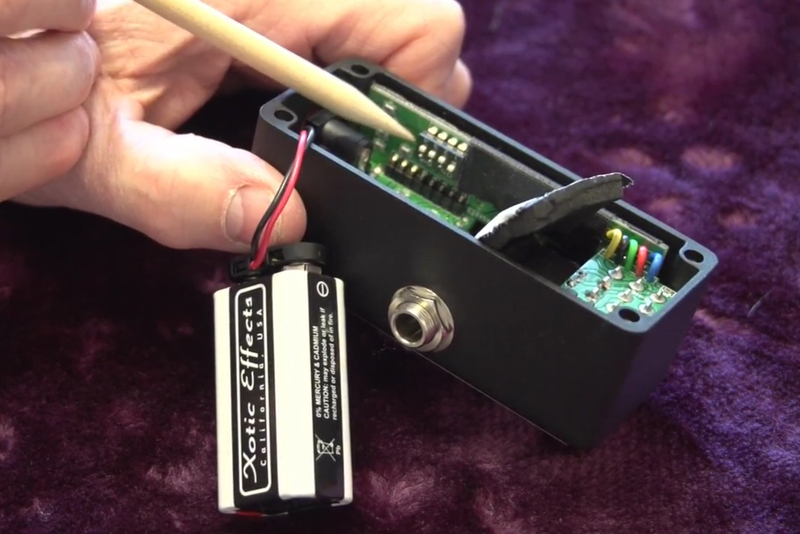 its worthwhile noting that the pedal does have the CE markings on there and the origin. I was very impressed with this pedal especially once I had it set to that 6Db gain mode (choice three). Indeed I was so impressed I bought it from Martin the original owner. The pedal is exceptionally well made and basically bomb proof as long as you don't over voltage the unit. Sounds incredibly good so my rating for the Xotic SL pedal is a 9 out of 10 and only below 10 because the power supply and/or that voltage doubler should be in there by default. 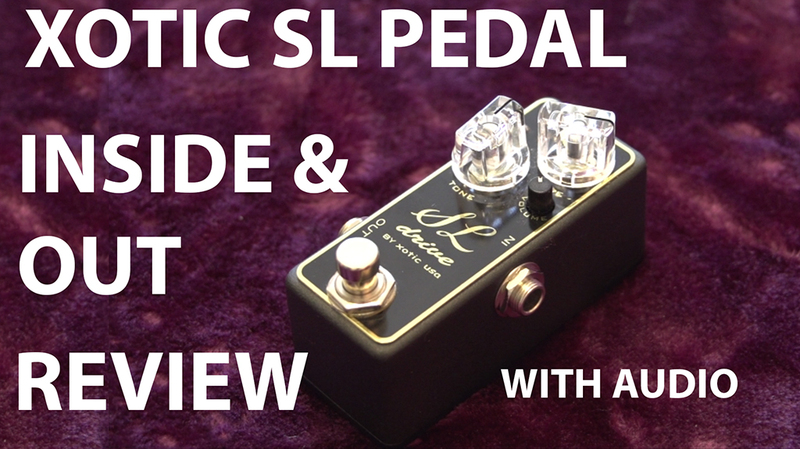 The Xotic SL pedal is by no means brand new on the market, but that matters not. What does matter, is that if you are looking to be the next Jimi Hendrix (or replace that name with any of the other 70's greats) then you NEED this tone to get there. There is no doubt that the SL pedal delivers in a really good way... for once I have a pedal that promises to deliver what it says on the tin. Buy one! Here is the original video review I completed from my YouTube channel.